Paddle Australia’s recently selected 2019 Senior Sprint World Cup Squad wrapped up a joint team boat training camp of the men’s and women’s kayak team at the National Training Centre of Excellence at the Gold Coast at the end of March. One of the goals of the camp was to identify team boats for the upcoming ICF Canoe Sprint World Cup season with different combinations being trialled across the K4s and K2s and with World Cup entries to be announced over the next couple of weeks. With Paddle Australia’s performance program placing a greater priority on the importance of athlete wellbeing and mental health a series of workshops around Athlete Wellbeing and Engagement was included into the camp program. The workshops were delivered in collaboration with the AIS Wellbeing and Engagement division, which was set-up a year ago. 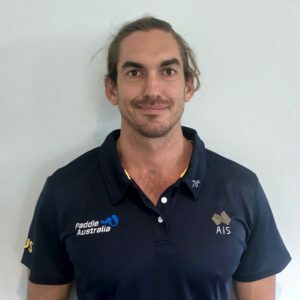 Since then, the AIS has funded and embedded Athlete Wellbeing and Engagement managers in 15 sports including at Paddle Australia’s Canoe Sprint and Slalom programs with Matt Murphy joining the team in this role last December and working across both teams. 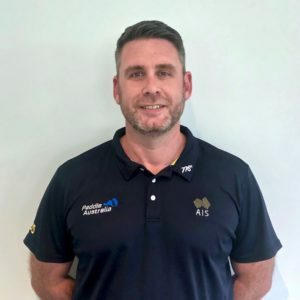 As Athlete Wellbeing and Engagement Manger Matt Murphy is providing support in areas of mental health, career and education, community engagement, conduct and professionalism and personal development and works closely with the wider AIS network in the delivery of workshops like the ones just delivered on camp. The workshops were attended by athletes, coaches as well as performance program staff. “It’s been really great this week. On the first day we did a culture, wellbeing workshop which was great to work together as a team and identify some behaviours we need to look out for and be aware of. It raised some really good issues for us and now we feel a bit more like a team and we can support each other,” London Olympian Jo Brigden-Jones explained about the first workshop about Respectful Behaviours, which included content based on professionalism and conduct and was delivered by AIS Athlete Wellbeing and Engagement along with Deakin University. “The next day we had two commandos from the SAS and they were fantastic. They went through their processes, how they deal with pressure and to learn how they prepare for that, execute and then review or debrief after that was awesome,” Brigden-Jones added about the Execution Under Pressure workshop that was delivered by Commandos through the AIS Gold Medal Ready Program and with the session covering parallels between areas when required to perform under intense pressure. “Then we had a workshop on mental health and it was really interesting how to identify if there are any issues and how to deal with them” Brigden-Jones said about the third and final Mental Health Literacy workshop which was delivered by the Mental Health stream of the AIS Athlete Wellbeing and Engagement division and was a knowledge session covering understanding of mental health areas and help available to athletes. Jo Brigden-Jones is Australian team “veteran” and will be competing overseas on what will be her 16thAustralian team, but despite all of her experience from paddling as well as from being a paramedic in her professional life, she thought the workshop series very valuable. Like Jo Brigden-Jones and Alyssa Bull, Rio Olympian Riley Fitzsimmons (NSW) found the educational aspect of the workshops especially rewarding and took away several learning to incorporate into his training with only 15 months to go to the Tokyo 2020 Olympic Games. on our physical aspects and our mental attitude towards training but this focussed on the one percenters away from what we do day in and day out and it was very educational,” the 22-year old said, who will be contesting both the Senior as well as U23 World Championships this year. “A lot of it was about communication and building trust and relationships within our team to build that strong environment and there were definitely some golden nuggets I took away that I’ll be including into my training. Amongst others, I’ve learnt that it is about putting yourself into those uncomfortable situations to better yourself and pushing yourself to fail in training so when it counts next year in Tokyo that we have learnt from our mistakes and we’ve progressed as athletes so we can execute to get that gold,” Fitzsimmons added with his ultimate performance goal in mind. The workshops were also new to 2019 men’s sprint squad member and returning national team paddler from South Australia Matt Goble, who found the outsider’s perspective inspiring. “I was definitely inspired hearing from the Commandos about how they push themselves every day, how they fail and work on their weaknesses and I think that’s a good thing to take into our training environment and to then know come race day that we’ve ticked all the boxes and one percenters,” Goble said. Newcomer to the senior squad at only 20-years of age, Jean van der Westhuyzen has never experienced this type of holistic athlete training approach and found it very valuable. Westhuyzen is a former junior marathon canoeing world champion, who is originally from South Africa, and will be contesting his first Senior World Cups and U23 World Championships for Australia this year. “My sporting career hasn’t been extremely long, I’m still pretty young and for me this has been very unusual from where I come from. What they said opened my mind to new possibilities and ways of approaching certain environments and important competitions,” Westhuyzen said. Westhuyzen’s U23 K2 partner Jackson Collins is also new to the team after having taken up kayaking only a year ago following a couple of successful junior years in AFL as well as surf ski paddling. But while his paddling career is only just starting, Collins is already quite aware of the importance of athlete wellbeing and a life beyond sport – an underlying theme of all the workshops. “The workshops were very much around mental health and making sure that you are thinking about things outside of sport and that you need to be very well rounded. Just to be aware about what’s going on in your body and your mind is really good and you need education around those things,” Collins reflected. Becoming a sport psychologist is the ‘after sport goal’ for senior women’s sprint team newbie Ella Beere (NSW), who is studying psychology and was very excited about the workshops’ content and learnings. “It’s been really good. The mental health workshop was about breaking the stigma around mental illness which I found really exciting because I’m studying psychology and my dream is to be a sport psychologist so I was really hooked by the conversation,” 20-year old Beere described her workshop experience. “In the workshop on respect in sport we learnt that the most important thing in any sport is being able to trust each other. 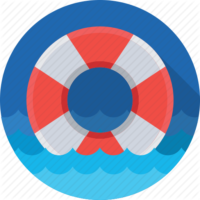 Because if there is no trust you can’t and don’t have the confidence to speak up when things might not be going right and I think that’s really applicable to especially a team boat and I think that everyone took a lot from that,” Beere reflected on the different workshops. The workshop series was part of the AIS Athlete Wellbeing and Engagement program embedded in the national sporting organisation performance programs with the AIS Athlete Wellbeing and Engagement division launched last year to provide holistic support to high performance athletes and to provide greater support for athletes so they are equipped to enjoy life success and not just podium success. “Wellbeing and performance go hand in hand. 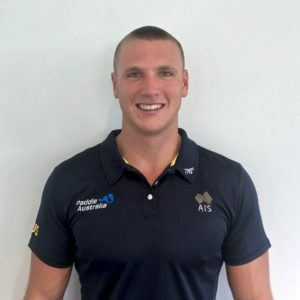 By increasing athlete wellbeing, we will be assisting athletes and our sport to achieve more sustained performance and success at the highest level,” explained Paddle Australia’s AIS funded Athlete Wellbeing and Engagement manager Matt Murphy. Athlete wellbeing, including mental health, is one of the key strategic priorities of the National Sport Plan – Sport 2030. 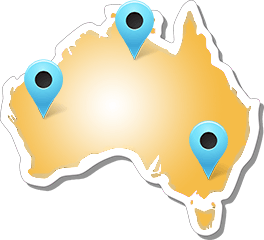 “The AIS has great oversight to identify areas where sport has the most need and requires leadership and it’s great to be part of this network where everyone is now connected. We are all passionate about athlete wellbeing and making sure they’re our focus. It’s a gradual process but I’m already seeing athletes directly benefit from it, which is also reflected in the feedback to our workshop last week,” Matt Murphy said. The Australian Institute of Sport (AIS) commitment to the wellbeing of Australia’s high-performance athletes was also recognised in last week’s federal budget announcement. 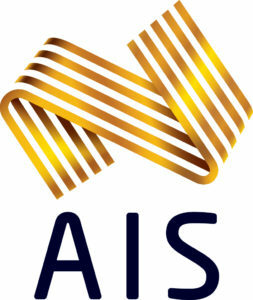 Australian athletes, especially emerging athletes of the future, will benefit from a major new funding commitment of more than $54million over the next two years to the Australian Institute of Sport (AIS), announced in Tuesday night’s Federal Budget. The funding boost will provide substantially improved development opportunities for talented young athletes around the country and will also fund enhanced athlete wellbeing and personal development initiatives, and improved means-tested financial support for athletes. 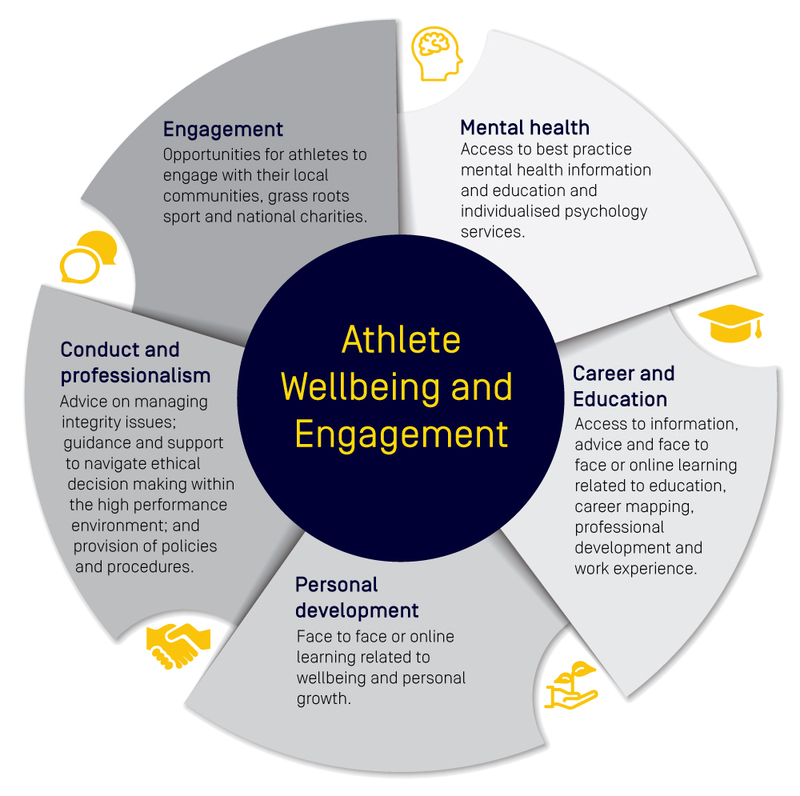 The wellbeing and personal development of athletes continues to be an important AIS priority. Further investment will now occur in areas such as mental health, athlete engagement with their communities and transition support for retiring athletes. Follow our AUS Paddle Team on Facebook and Instagram @auspaddleteam for further updates from this program and as they prepare for Tokyo 2020.